Henley is one of the oldest hamlets in Box, mentioned in a charter of the 1210s and a marriage settlement of 1475. It was probably involved in farming since early times and there is confirmation of this when Hugh Speke, lord of Box manor, acquired unspecified land there in 1604 and Thomas Adia paid £12 rates in 1628 for Joanses tenement (tenanted house and land). Henley has never been an ideal farming area. The land is too steep for arable cultivation and not sufficiently sheltered for fruit farming or tender crops. So it was traditionally used for animal husbandry, particularly sheep grazing in the Tudor period. This was fine until the collapse of the wool trade in Western England after about 1770 and the economic viability of the area worsened further in the agricultural depression after the 1870s. But this analysis is the long-term trend and doesn't explain the details of changes in the hamlet of Henley. This article charts the story of the decline of farming at Henley in the Victorian era and the times when it was briefly reinvigorated by external influences. The first farmers at Henley Farm in the Victorian period are the Wilton family. Thomas Wilton, who was buried at Ditteridge Church in 1823, possibly farmed there and his son James was recorded there in the 1840 Tithe Apportionment records, when Henley Farm House, Barton and buildings were owned by the Northeys, successors to the Spekes, and tenanted in 1840 by James Wilton along with Upper and Lower Hills at Henley, refs 503-06. Confirmation of James' tenancy came in 1858 in a notice about his wife, Amy, stating widow of the late Mr James Wilton of Henley Farm, Box. There are two intriguing references in these records, which recur later in this article. The Wilton family were connected with a branch of the Vezey family because Thomas' daughter, Elizabeth Wilton, married James Vezey. The families appear to be neighbours in 1840 when Thomas Vezey was recorded owning part of a garden at Henley ref 634. The reference to Ditteridge Church is also unusual because the route to Ditteridge would have almost passed via Box Church, which would seem to be the natural parish church for people living in Henley. The Wilton family relinquished the tenancy by 1841 because, in the census of that year, Henley was occupied by William Smith, a shepherd from Colerne, with his wife Hester and four children. The censuses of 1851 and 1861 both confirm that the residence of the Smith family was Henley Farm house. But by 1871, the family had moved to Wadswick and most of the children had left home. There is little evidence of wealth in the Smith family. They had no servants to help them with the farming, even when many of their ten children were babies. At one point they took in a lodger, Hannah Newman, because she had a pension and could help fund the household bills. We might imagine that the family were occupying the house as part of William's employment, rather than aspiring yeomen farmers in their own right, although they probably conducted some small farming work in addition to any shepherding duties. The Smiths lived at Henley Farm for over three decades, and thereafter there followed a period of considerable changes of tenant. In 1871 Edwin Vezey occupied it calling himself farmer of 150 acres, employing 5 labourers. This shouldn't be interpreted as a successful period at the farm, though. Edwin was aged 22, living with his brother Joseph, aged 18, and their sixty-six year-old aunt, Mary Hancock, a widow who worked as their housekeeper. The venture didn't last long and by the 1881 census Albert Mills, an agricultural labourer, lived in the farmhouse with his wife Ellen. He had previously lodged at Pye Corner describing himself as a shepherd in 1871. From about 1886 the house was occupied for two decades by Abel Cousins, a farm bailiff, employed as a manager for the owner of the land. He and his wife Harriet had six children, the oldest of whom, George, was employed on the railways as a porter. Abel does not appear to be farming the land himself because in September 1906 there was a sale of the live and dead stock of the farmland under the terms of the will of James Vezey of the Chequers, Market Place. James was presumably renting the land to fatten stock for his butcher's business at the pub. In 1891 there is the answer to the connection between Henley and Ditteridge when the census recorded a pencil note against the households of Charles Phelps and Thomas Wootten of Henley that they were part of the Ecclesiastical Parish of Ditteridge. We can see from this that, only four years before the creation of the civil parish of Box, areas of Henley were not part of the parish of Thomas à Becket but owed their allegiance to Ditteridge, as had been the case with the Wilton family earlier. 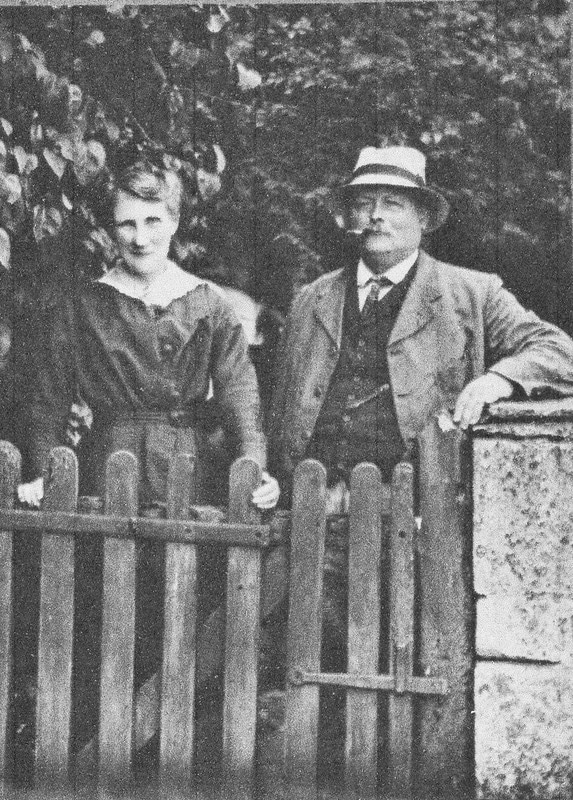 Thomas Daniell and his wife, Marion Jones Ponting, who ran Manor Farm in the centre of Box took the tenancy over from James Vezey. In 1912 Henley Farm was put up for sale by the freehold owners, the Northey family, when the farmland was recorded as 92 acres 3 roods 11 perches. The farm didn't sell and was eventually disposed of in 1919. A year later Thomas Daniell, farmer, described as who is quitting sold up the stock and vacated the tenancy, along with other Northey tenants at Wadswick and Ashley Farms. Thereafter farming at Henley Farm changed because of external factors. The national economic depression affected most people and encouraged smallholdings when there was little employment available. Ambrose Dallyn, a farmer who left his tenanted farm at Challacombe, Barnstaple, Devon, in 1912, farmed at Tiverton for a few years before moving to Henley Farm. In 1920 he was charged with moving four pigs without a licence, when fears of the 1918 flu pandemic were still at a height. It was probably a difficult living and in 1921 Ambrose advertised for the return of six yearlings lost from Henley Farm. Nonetheless Ambrose persevered and in the 1939 Register he and his wife, Elizabeth Jane, were recorded at Henley, together with George Lloyd, 23 year-old farmer assistant, Rosina Bullen, widow aged in her mid sixties, unpaid domestic duties, and two others. By 1940, aged 63, Ambrose sold up, Genuine and totally unreserved sale of live and dead farming stock due to Mr A Dallyn selling the farm. During the wartime William R Scott ran the farm but it wasn't a very successful venture and he sold up in December 1945, advertising 9 Dairy cows in milk and 40 Head of Poultry. In the post-war years Edgar C Smith took over the smallholding and actively farmed it in the years until 1953. In June of that year he put it up for sale for £11,500 or near offer, wanting to move to a larger farm. He advertised it as Dairy and mixed holding at Henley Farm, Box, 97 acres with attractive small Cotswold residence of charm and character... Mains electricity and water, first class buildings, good cottage, healthy pasture and arable land. In the years during and after the Second World War the government initiative for agricultural self-sufficiency gave the farm a new lease of life. In 1964 Bob and Sylvia Moulton took over the farm and expanded the dairy operation. They stayed for a remarkable thirty-three years with considerable success and in April 1989 the farm was mentioned in the Quality Milk Awards for low bacteria counts and purity from its herd of fifty Ayrshire Dairy Cows. Twelve hungry farm cats were waiting at the door. 'Twas a long day for everyone when we moved in, you see! The girls have wed and have families of their own ! We've had some troubles and some tears. Had several round bales downhill runaway. I've got to start looking for an easier life. 'Tis time I had a bit more rest in the chair ! The Moultons wanted the property to continue as a small dairy unit but the Alder & King sale particulars for the auction in the Angel Hotel, Chippenham, in June 1997 declared this desire continues to grow less and less practical. It was the end of Henley being farmed as a single unit. The farmhouse and granary were sold as a single unit, the magnificent stone barn and stable block as another unit (now called Henley Court) and the land comprising eighty acres was divided between the units and as pasture and woodland. The story of Henley Farm epitomises the problems in running a farm in Box in the nineteenth and twentieth centuries and how the economics of farming varied depending on government intervention and the national economy. 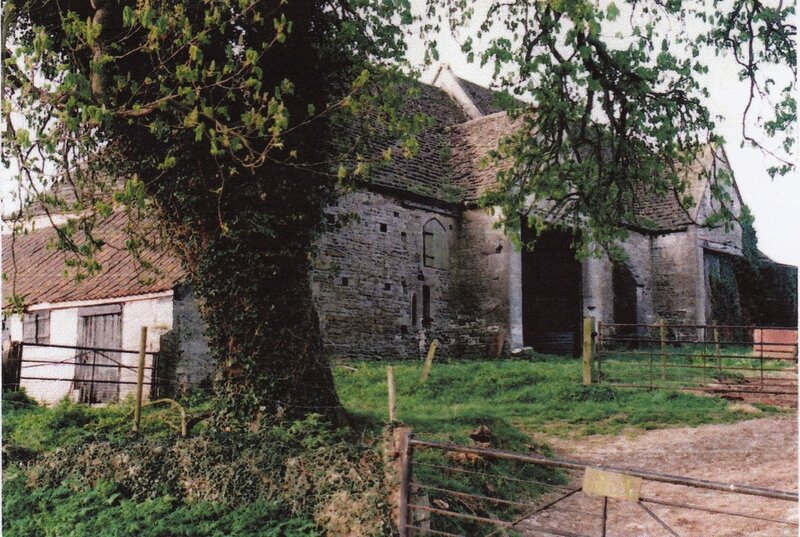 It also shows the long-term general decline of North Wiltshire's dairy farming tradition, now almost totally gone. Not separately identified, presumably tenanted but not occupied by Thomas Daniell, who lived at Manor Farm.